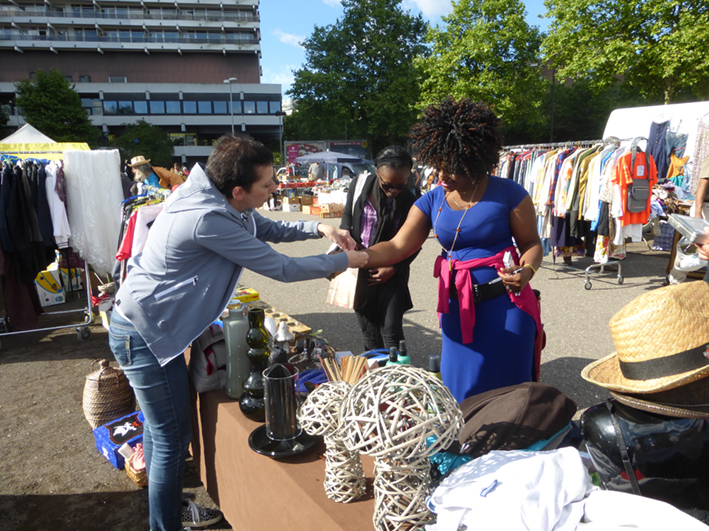 Saturday, summer, sunshine – perfect conditions for a sucessful day at the flea market. We organised a stall at the flea market at the Unicenter in Cologne on 30th July to collect money for SAYes. On the day we were really lucky with the weather and lots of willing customers. 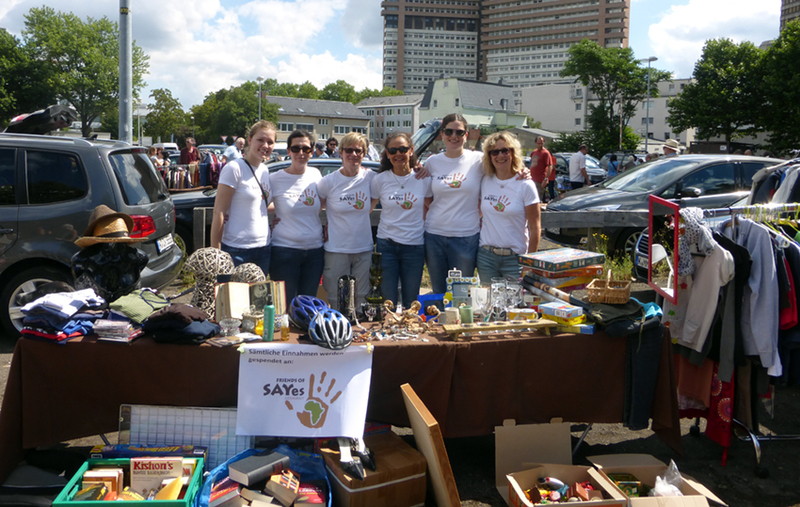 Members of Friends of SAYes Germany cleared out their cabinets, cellars and garages to donate items for a good cause. Thanks to the varied offerings – decorations, books, jewellery, child seats etc. – the day was a complete success. Especially popular with the small flea market visitors was our box with lots of toys of all sizes. Our stall was visited very frequently, and in total we were able to raise more than 300 Euros, which will be now donated to SAYes. The day started very early, as the stall had to be set up by 6am. Luisa, Astrid and Sabine took the early shift and were greeted by a huge number of early bird customers who were looking for little treasures. Members of the early shift were replaced by Gabi, Vanessa and Biene, who closed the stall in the late afternoon. There are some things which we weren't able to sell, and these items will be offered at the next flea market. We are thinking of another activity in the autumn. We are looking forward to donations and lots of customers at our next flea market. Naturally, we will inform you of the details in time on our website.